Basketball is just around the corner. 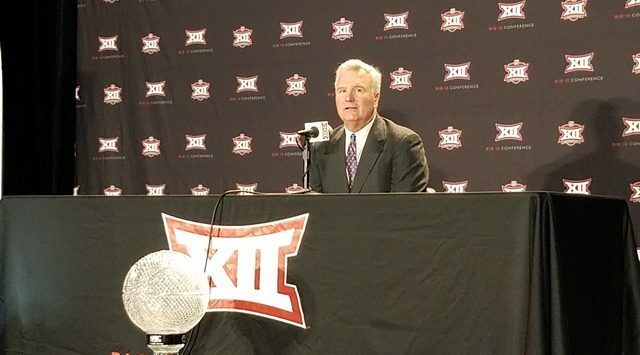 Kansas and Kansas State are gearing up for the 2018-19 season, and both programs took a step closer to the season opener, attending the Big 12 Basketball Media Day. For the eighth straight season, Kansas topped the men’s basketball Big 12 Preseason Poll, receiving all of the possible nine first-place votes. Kansas State was tabbed as the second best team in the Big 12, followed by West Virginia, TCU, Texas, Iowa State, Oklahoma, Baylor and Oklahoma State. KU coach Bill Self, K-State coach Bruce Weber, and multiple players spoke with media members Wednesday.